Once upon a time in the West could be in store for the future of games. Update: New day, new image. 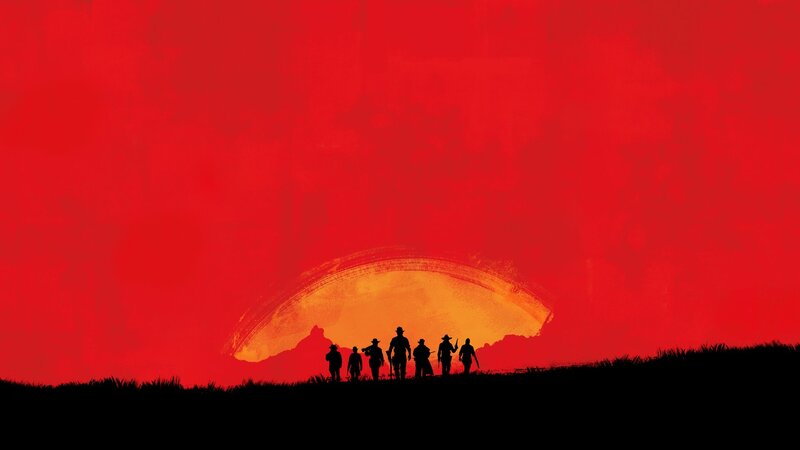 This one seems to point towards the Red Dead version of the classic Magnificent Seven film. Multiple characters perhaps? Rockstar has chosen a quiet Sunday afternoon to announce - well, sort of announce - its most hotly-anticipated sequel. The company Tweeted a picture of its logo in the Red Dead Redemption colour scheme and repainted its website in the same hue, sending the internet into a frenzy and suggesting that a formal reveal of Red Dead Redemption 2 - you know, with a screenshots and a trailer and actual game content - can't be far away. This is how you break the (gaming) internet. A Red Dead sequel was guaranteed by the enormous success of 2010's Red Dead Redemption, which sold over fourteen million copies and recieved almost universal critical acclaim. 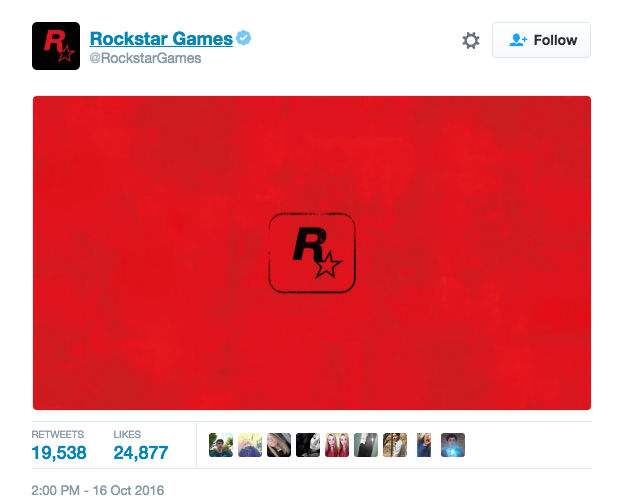 The company has had its hands full subsequently with GTA 5 (which has now sold an incredible 65 million copies) and GTA Online, but Red Dead was always a safe bet for its next release and given the timing of this teaser, there's a reasonable chance of seeing a formal announcement this month with a 2017 release date. Pending any delays, of course. Red Dead Redemption 2, as it almost certainly won't be called (Red Dead Revolution? Red Dead Renunciation?) is likely to build on the success of GTA 5 - so expect things like a vast map, first-person mode and a huge online mode. GTA Online continues to make huge sums of money for Rockstar so Red Dead Online is as close to a sure thing as you can get. This is an extremely Rockstar announcement, coming as it does without any warning at a time when everybody else has hunkered down to release their holiday lineup. The company makes a point of not conforming to anybody else's schedule, being conspiciously absent from events like E3, and the timing of this teaser suggests it's not even going to wait for this year's Game Awards in December to reveal its next release. If you're minded to go back to the original Red Dead Redemption, which we still maintain to be one of the best games of its generation, the Xbox 360 version is backwards compatible on Xbox One. Playstation is not so lucky, but PS4 owners can play the first game in the series, Red Dead Revolver.